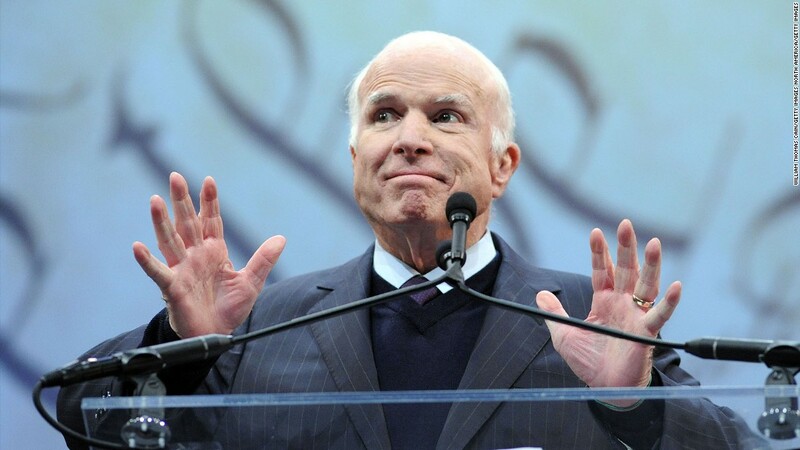 Everyone should read John McCain's speech - U Wanna Know What? ( CNN) Every American should read the speechJohn McCain delivered last night. In fact, every one of us should print that thing out, stick it on our refrigerator and read it before we pull out the eggs and milk for breakfast or get ready for work or drive our kids to school. In what has been largely read as a denunciation of President Trump’s world view — the senator mocked “half-baked, spurious nationalism” — McCain also reminded us who we are as a people and, perhaps more importantly, who “were in”.